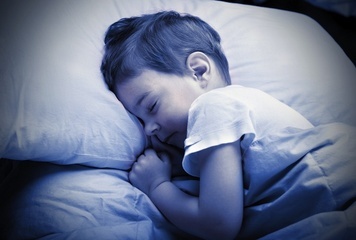 All children suffer from bedwetting or nocturnal enuresis at some point in life. However, most of the time, bedwetting in children usually stop when they reach 3 years old and there are some children (about 10%) still suffer from bedwetting until they reach the age 6 years old. In the 10% of children who were not able to stop from bedwetting after they reach the age 3 years old are mostly boys, as a matter of fact, boys who wet their bed during sleep are twice as many than girls. There are many factors why boys are more likely to wet their beds during sleep when compared to girls. One reason why boys are more likely to wet their beds during sleep is due to genetics or it runs in the blood. Most of the time, boys drink more water than girls and boys have somewhat smaller bladder when compared to girls, which makes them more prone to wet their beds during sleep. There are several ways that can be done to help in stopping bedwetting in children in general, not just in boys. But these tips can really help in reducing bedwetting tendencies or episodes in boys during their sleep. When it is near bedtime, avoid drinking water or other fluids. And before tucking your boy to bed, let him go to the bathroom to urinate. Cutting fluid intake and voiding before going to bed can really be helpful in decreasing chances for your boy to wet his bed during his sleep. If necessary, you can set an alarm clock in the middle of the night to wake your boy up just for him to go to the bathroom and urinate. It may be needed for you to wake your boy up, since there are many children who are deep sleepers. If possible, place your boy’s bedroom near the bathroom. And keep the lights on in the hallway on the way to the bathroom so that your boy will easily find the bathroom and he will not get scared in going to the bathroom. Consult your boy’s pediatrician regarding his bedwetting problem. Bed wetting can be normal in children but there are some bed wetting cases that are only symptoms of a more serious underlying medical condition, such as an infection in the urinary tract, urinary bladder abnormality, or there could be an anatomical problem in your boy’s urinary system.